If one can love then all one´s wounds disappear. Then one becomes whole – and to be whole is to be holy. Unless one is whole one is not holy. The physical health is a superficial phenomenon. It can happen through medicine, it can happen through science. 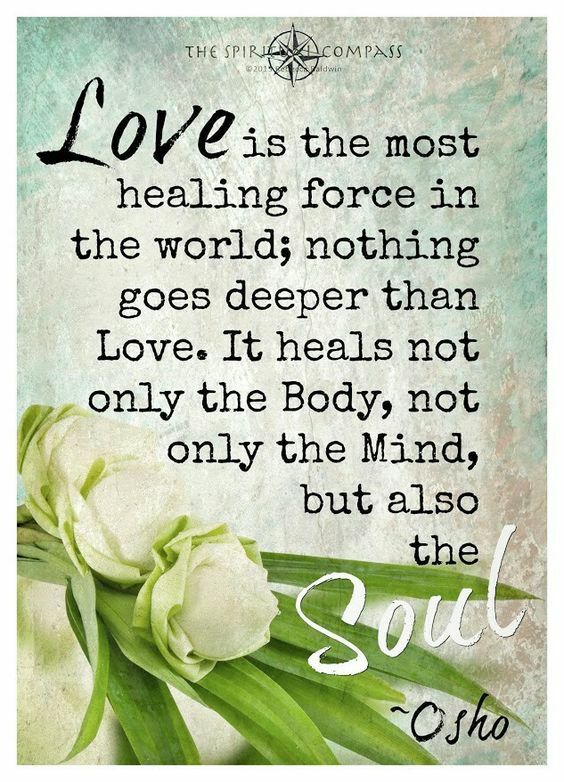 But the innermost core of one´s being can be healed only through love. Those who know the secret of love know the greatest secret of life. Then there is no misery for them, no old age, no death. Of course the body will become old and the body will die, but love reveals to you the truth that you are not the body. You are pure consciousness, you have no birth, no death. And to live in that pure consciousness is to live in tune with life. Bliss is a by-product of living in tune with life.